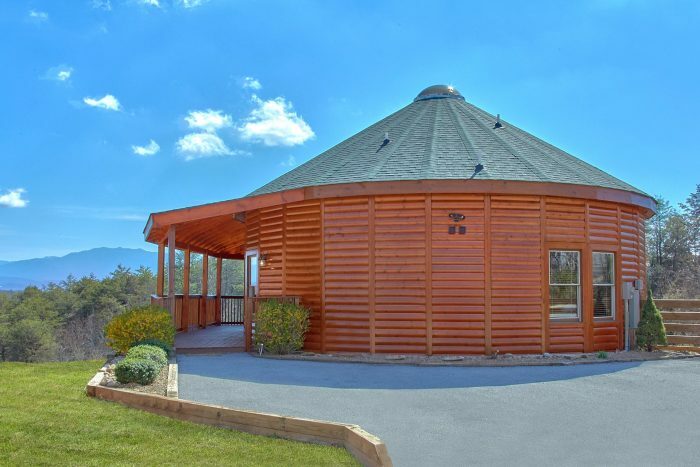 Come to the Smoky Mountains to experience "Star Gazer!" 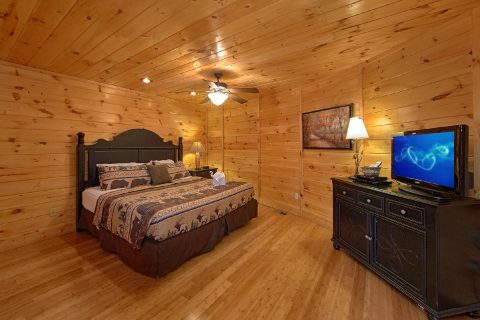 This beautiful 3-bedroom cabin sleeps up to 10 guests in comfort and offers everything you'll need for an excellent stay in Pigeon Forge! 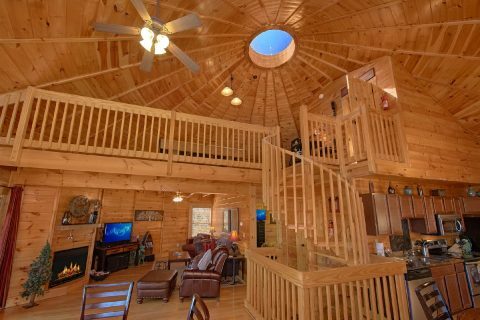 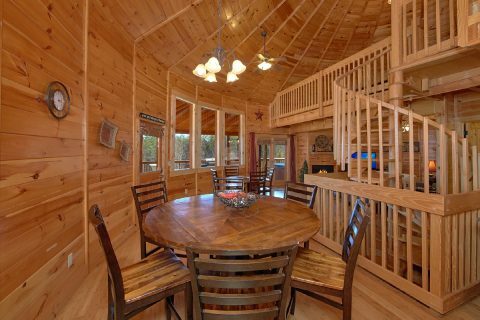 This comfortable cabin boasts a unique, rounded design, something you won't find with other cabins in the Smokies. 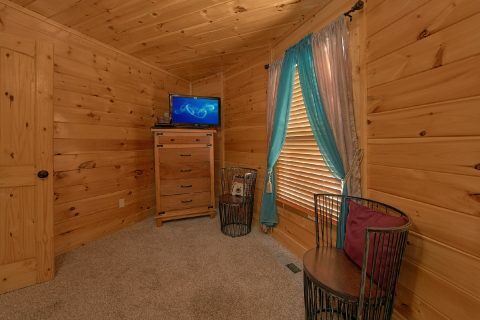 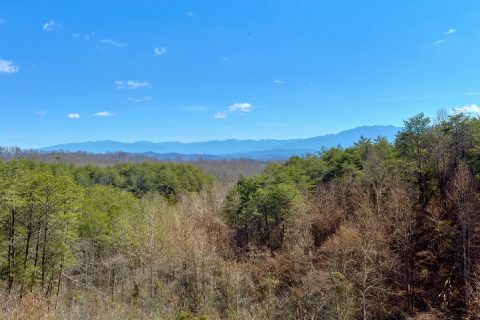 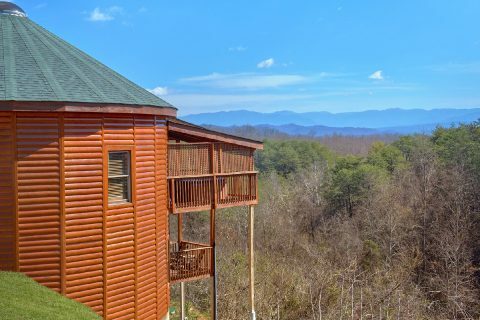 Thanks to this cabin's prime location in the Grand View Resort area of Sevierville, guests will enjoy staying only 5 miles from Downtown Pigeon Forge, TN! 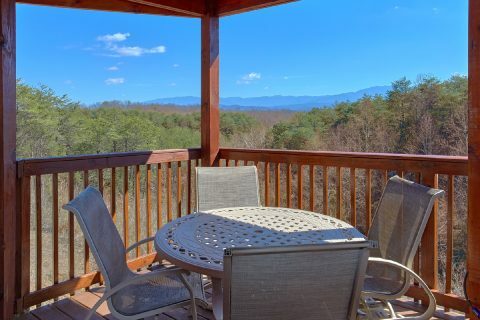 This charming mountain town boasts action-packed attractions, a huge selection of shops, and great restaurants that will keep you entertained for hours. 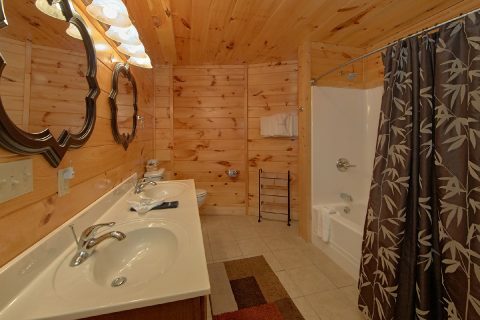 Better yet, this cabin's resort offers seasonal swimming pool access during the warm summer months. 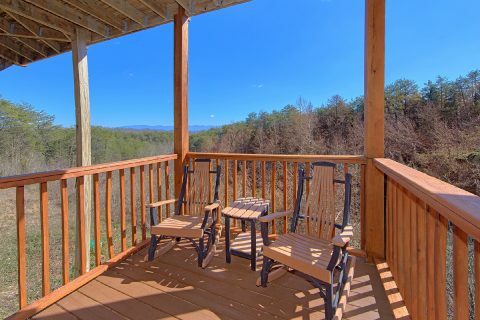 After a great day spent at Dollywood, seeing dinner shows on the Parkway, or hiking trails in the Great Smoky Mountains National Park, you'll love returning to this spacious cabin that offers everything you need to unwind. 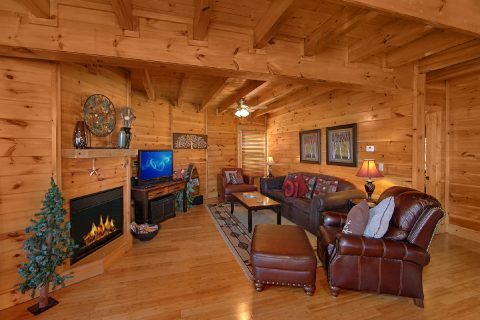 In the main living area, you'll find comfortable furnishings, a television, and an electric fireplace that makes this space warm and inviting. 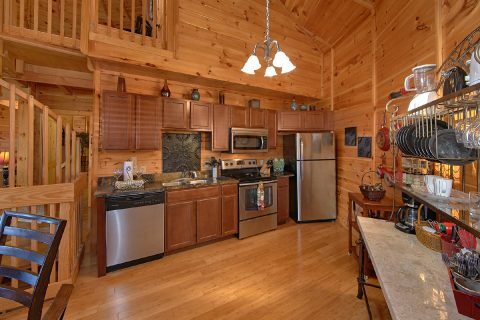 Nearby, the full kitchen area offers everything you'll need to cook delicious meals in the comfort of your cabin. 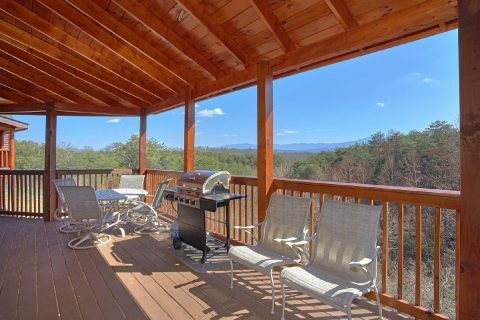 Step outside to fire up the gas grill or just relax on the deck while you take in this cabin's beautiful mountain views. 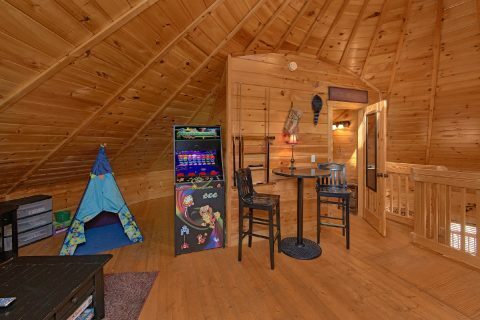 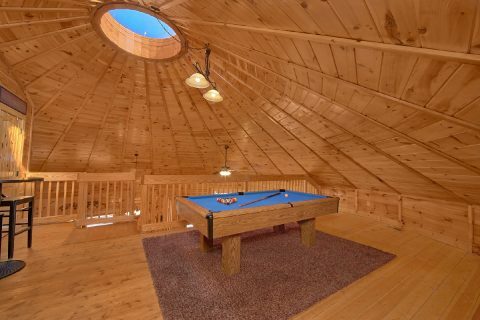 For some fun and entertainment, this cabin offers a game room loft with a arcade game, and a pool table for you to enjoy some friendly competition during your stay. 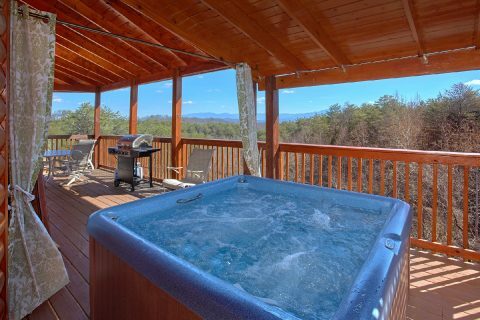 For some relaxation, be sure to enjoy the warm waters of your cabin's hot tub underneath the star-filled night sky. 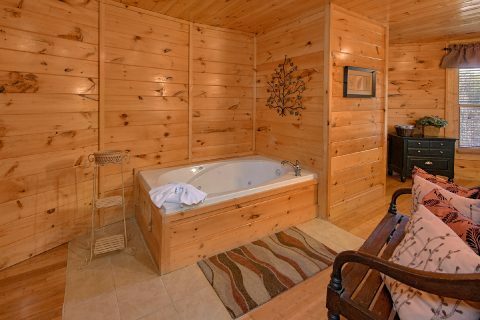 Or for a relaxing soak indoors, you can also enjoy your rental's jacuzzi tub. 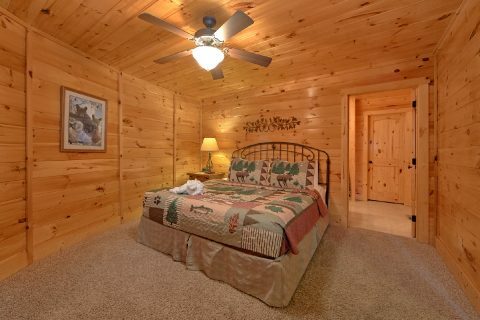 Once you're ready to get some rest on your vacation, you can look forward to staying in one of this cabin's 3 bedrooms that each boasts a king-size bed and a private bathroom! 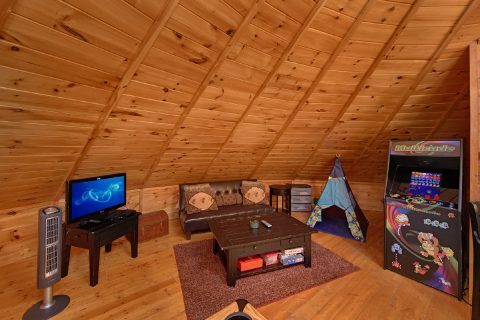 With a sleeper sofa in the living room, a futon in the game room loft, and a Pack n' Play child's bed, this rental can accommodate up to 10 guests in comfort. 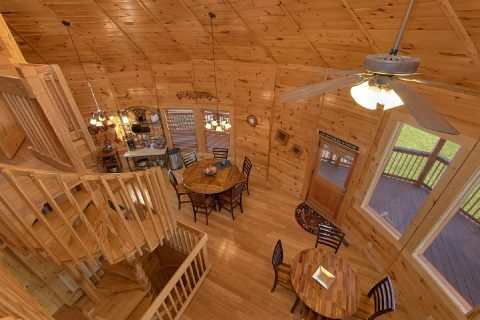 This cabin also offers practical features like WiFi Internet and a washer & dryer to ensure that your vacation is simple and stress-free! 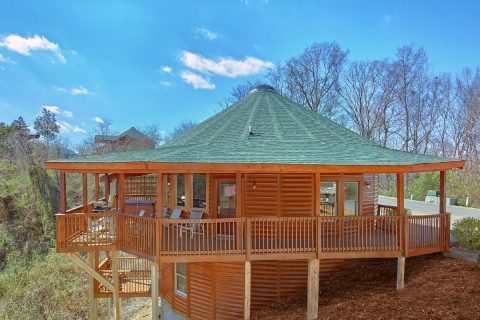 As an added perk, guests of "Star Gazer" can get a discount on zip line tickets for Wahoo Zipline, which is conveniently located in Grand View Resort. Guests can also get discounted tickets for the Wahoo Glass Bottomed Boat ride. 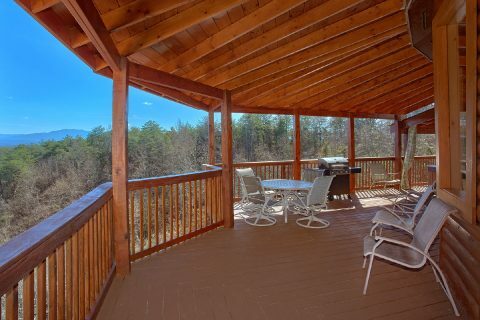 Book "Star Gazer" today to ensure you'll enjoy a beautiful Smoky Mountain vacation with a resort pool, mountain views, and more! 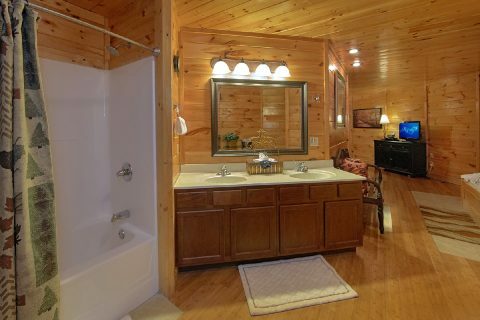 Best of all, you can save big with Cabins USA's special 15% discount!